it's too soon to get your lovely little scarves and mittens out and prevent your fingers from falling off. It might seem like a silly thing to get excited about, but I am a silly person! And I hope that some of you are too, and that you might enjoy them with your next cuppa! Just open the image, right click and save to your computer, then print! Scroll down for the how-to! 1. Cut your chosen teabag out (or if you've chosen to use pretty paper then cut out a rectangle 1x2 inches and mark a small dot in the middle on the back), then thread some...thread...through the needle. Thread it through the chosen point of your teabag and tie 2 knots to keep it secure. 2. Now take your tag and thread the needle through the small white dot in the middle on the rectangle (or where you marked it). There are a couple of ways to do this: either the wrong way, which is how I did it, and pierce through from the back to the front, then loop it back through by piercing a hole about 2mm away from the original and tying it together into 2 knots on the back, or the way I meant to do it which is from the front to the back, and tie 2 knots without threading it back through. 3. Now fold it in half so that the threaded bit is at the top, and take the glue stick and glue it together. If you threaded from the back to the front and then back again, the thread should come out of the side - if it comes out of the bottom then open it and restick! If you did it the -right- way, it'll be coming out of the top. 4. 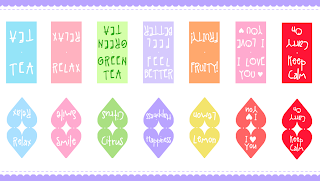 If you used the printouts and are worried that, if you're presenting the tea to a loved or gross and contagious one, the tag might get wet and the colours run, a thin layer of Mod Podge can protect it. If you're using scrapbook paper then you have nothing to worry about. If you use scrapbook paper like Dove Craft then I'd like to see! I bet it'd look gorgeous <3 great for a tea party! 1. Pierce through one of the two dots at the top from the back to the front, then pierce through the top (but inside the heart) of the inside corner (the middle stitch in the below picture). Then the thread should be on the back again. Tie the two pieces together gently, twice (don't pull so that the paper scrunches! Keep it neat), then pierce through the final dot, from the back to the front. 2. The thread that was tied together on the back may have moved. Position it as below, so that the thread doesn't overlap onto the white section on the printed side, then fold in half and glue. 3. 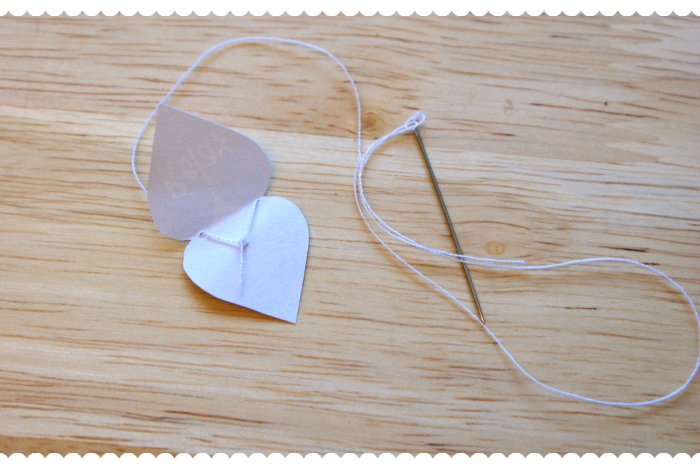 Take your scissors and carefully cut the white section out to complete the heart shape. If you positioned your thread right, you shouldn't have cut through it. If you did, then either try to open the tag back up and try again, or print a new one and try again still. 4. 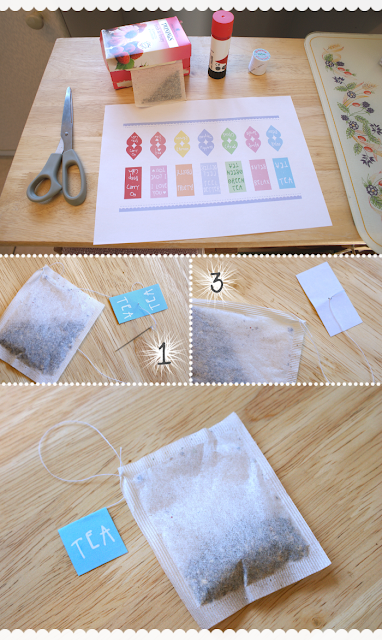 Thread it to the teabag. 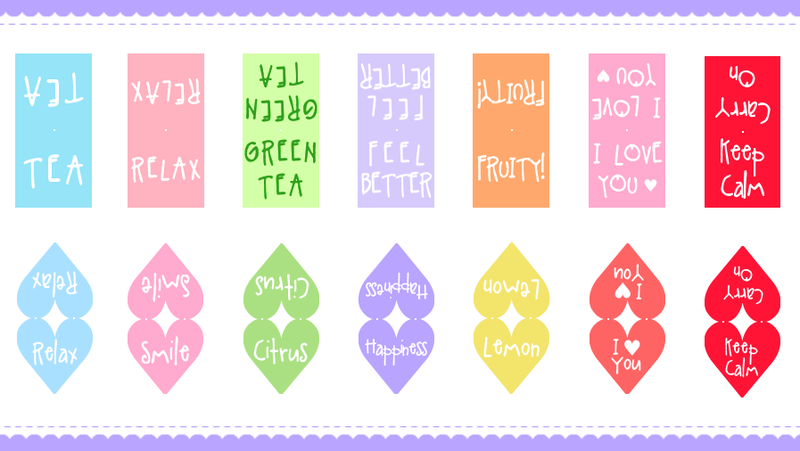 oooh these are so cute! thanks for sharing!